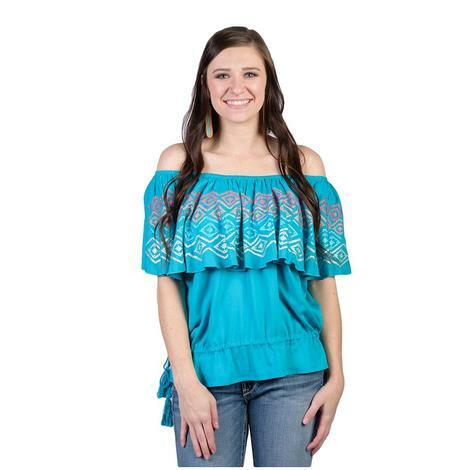 This beautiful shirt by Ariat is turquoise and off the shoulder with multi-color Aztec embroidery. 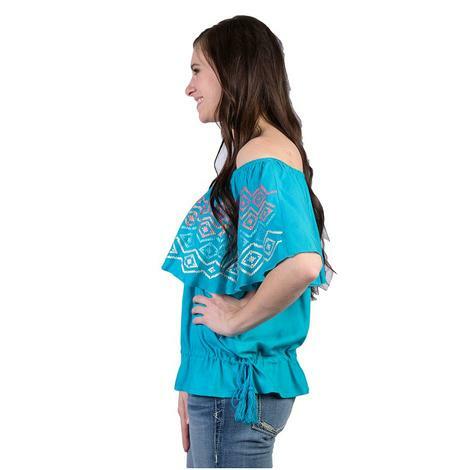 Side tassels. 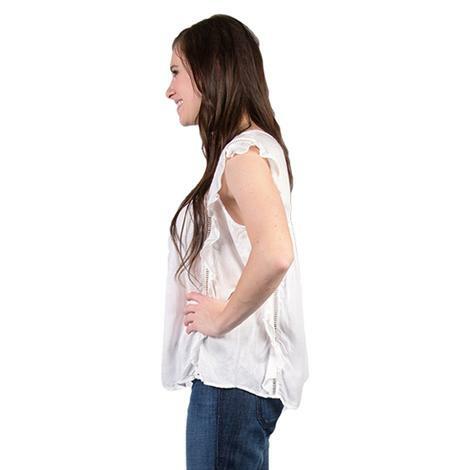 This top by Ariat has a scoop neck with beautiful short flutter sleeves and is solid white.